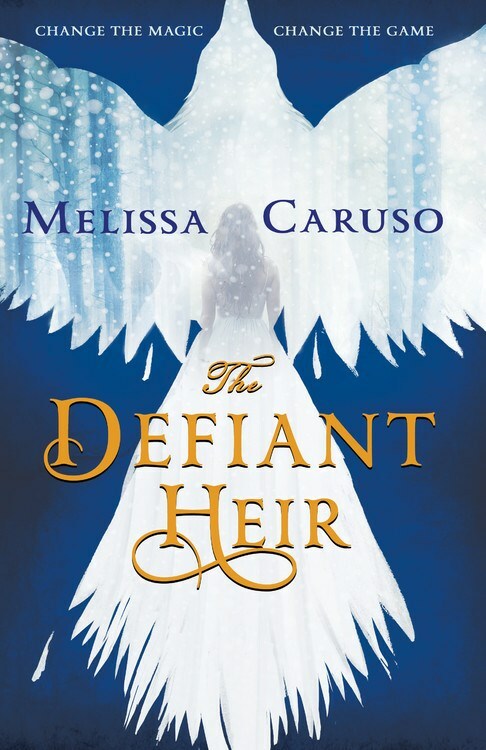 The Defiant Heir wisely takes a left turn from the first book, with a story that takes us from the urban to the wilds, all the while still maintaining all the complexities we so loved from the first book. Moral ambiguity, hard choices, personal sacrifice, all are still very much in evidence, even as Amalia and Zaira leave all they know far behind, risking everything in hopes of preventing a war. Now when it comes to the relationships, I have to admit, for the entire length of the first book, I just wanted Amalia and Zaira to have more page time together. Their relationship, prickly and fractious and impossible, was my favorite thing about the first book – which is why I found it so very frustrating when the story chose instead to dwell incessantly on the doe-eyed romance. And where usually I am a girl all in favor of a good romance, I found in this case, all the calf eyes and beating hearts and, well, rather generic vanilla attraction just irritated me. Suffice to say, I was not feeling it – which is why I was so very excited to find in The Defiant Heir, the focus so squarely upon my favorite relationship: Zaira and Amalia. Their stumblings toward a true partnership, fraught with just as much difficultly as ever, are the heart and soul of this book, and I loved every second of it. Caruso doesn’t shy away from moral ambiguities, or political realities, and I loved watching both girls struggle to come to terms with their own power, and what they can and cannot do with it. Furthermore, on the romance front, this book saw the introduction of a new player, a Witch Lord – and while his and Amalia’s relationship is purely political to start, it’s one Amalia cannot ignore the benefits of. And I loved that about her – how smart she is, reading the angles, playing the game, all the while trying to figure out just how far she’s willing to go. In fact I would say, if this book has an overall theme, it would be that no power comes without steep personal cost – and Amalia faces that reality head on. And as for the new love interest, frankly, as a character, I found him so much more interesting than Marcello that I was perfectly happy to have the new guy take center stage. And while yes, let’s call a spade a spade – and yet another love triangle a love triangle – the thing that saves this book from tiredly familiar territory is how always, always Amalia is smart enough to see all the angles, and strong enough to make her own choices. She owns all of it – and that I loved so very, very much. And let’s not forget the plot! There’s a heap of danger and adventure in this story, as Amalia and Zaira find themselves lost in enemy territory – and this book really broadens the horizons of this fantasy world, taking us from Venetian style court drama to a world where gods (or close enough as to make no difference) walk among us. It makes for a fascinatingly different landscape to explore, one that is every bit as compelling as the first. In all, The Defiant Heir is everything you liked about the first book, and more – and I liked this one even better. I really loved the first book in this series, so it says a lot that I came away from this one knowing without a doubt that I loved it even more.